The Halberstadt D.II was a biplane fighter aircraft of the Luftstreitkräfte (Imperial German Army Air Service) that served through the period of Allied air superiority in early 1916, but had begun to be superseded in the Jagdstaffeln ("squadrons") by the superior Albatros fighters by the autumn of that year. The D.II was the production version of the experimental D.I. Lightened to improve performance, it also featured staggered wings, and a more powerful 120 hp Mercedes D.II engine. The side and frontal radiators that had been tried in the D.I were replaced by a wing mounted radiator similar to that later used by the Albatros D.III and D.V. The two bay wings were very strongly braced, and the cockpit was raised in relation to where it had been on the D.I. This required a turtledeck to be built up on the rear fuselage to fair the cockpit into the lines of the fuselage. The wing trailing edge was a wooden member, as opposed to the wire common on contemporary German aircraft. Lateral control was by ailerons, but there were no fixed tail surfaces, and over-sensitive "Morane"-style balanced elevators similar to those employed by the Fokker Eindecker were retained. Although it must have shared the typical "Morane" elevator sensitivity, and the controls cannot have been well harmonised, it was very manoeuvrable in skilled hands, and could be dived safely at high speed. A single synchronised 7.92 mm (.312 in) LMG 08/15 "Spandau" machine gun fired through the propeller arc. If the only performance figures available for the type are accurate, the Halberstadt fighter’s speed and climb were little better than the Eindecker’s, and inferior to such Allied contemporaries as the Nieuport 11 and the D.H.2, but it earned the respect of Allied fighter pilots, and was the preferred mount of the pilots of the early Jagdstaffeln, until the Albatros D.I became available. Like other early German fighter types, the D.II was at first supplied in ones and twos to the ordinary reconnaissance units or Fliegertruppe of the Luftstreitkräfte, then gathered into small specialised fighter units – the Kampfeinsitzerkommandos. When the first true fighter Jagdstaffeln were formed in mid-1916, the Halberstadt was initially the best fighter available, and was used by Oswald Boelcke to demonstrate his famous pioneering air fighting tactics (the Dicta Boelcke) to the new units. His Halberstadt was painted bright blue overall – probably the first instance of the gaudy personal finishes applied by German fighter pilots to their mounts for the remainder of the war. As the new Albatros fighters came into service the Halberstadts were quickly replaced, although a few survived into early 1917. Manfred von Richthofen flew a red Halberstadt D.II for a few weeks in March 1917, after the spar of his Albatros D.III cracked in combat. Believed to have been first tried within the first six months of 1916, future German rocketry pioneer Leutnant Rudolf Nebel, then flying as a fighter pilot with Jasta 5, one of the earliest dedicated German fighter squadrons within the Luftstreitkräfte, used a Halberstadt D.II aircraft of that unit in the first known German attempt at arming an aircraft with wing-mounted offensive rockets as a form of air-to-air "stand-off" armament. Leutnant Nebel used a set of four improvised tubular launchers, two mounted per side on the wings, with a single signal rocket being fired from each tube, for the unofficial trial. According to Leutnant Nebel's apparently "undated" account, he took off on a defensive mission when 25 Allied aircraft appeared in the air near Jasta 5's base. He managed to fire his improvised rocket armament at a distance of 100 m (330 ft) from the Allied fighter formation, in a "head-on" attack at it, and scared one British pilot into surrendering as the British aircraft landed safely in German territory, with Leutnant Nebel landing no more than 20 m (70 ft) away, to ensure the British pilot's capture. Just over a week later, Leutnant Nebel attempted to try his improvised rocket armament once again, and managed to blow the propeller off an Allied aircraft, causing it to crash land. In mid-October 1916, another attempt was made to arm a Halberstadt D.II with rockets, this time for observation balloon attack, with a more formalized method, with a set of eight Le Prieur-style rockets mounted on the outer wing struts, not unlike the way that the French Nieuport 11 had first been armed nearly a year earlier. Problems with the ignition system on the rockets prevented the system from being experimented with any further. 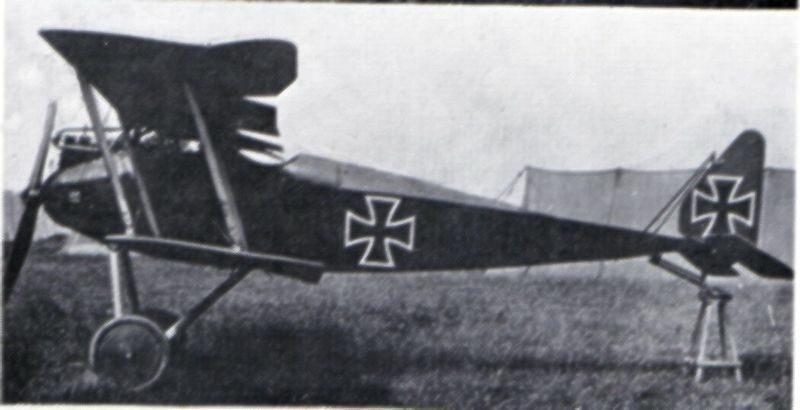 Also, in late 1916, the Halberstadt D.II was the first known aerial platform for an official trial, with a special unit named the FT-Versuchsabteilung (Radio Telegraphy Experimental Detachment), with the "FT" possibly meaning Funk-Telegraphie, of in-flight communications using early radio communications (via Morse Code) in directing fighter aircraft. IdFlieg sactioned the test, which resulted in the creation of a radio-telegraphy transceiver for the flight leader's aircraft, weighing 25-30 kg (55-60 lb) along with the battery, aircraft engine-driven generator and aerial setup. Receiving-only gear for the other aircraft in a combat formation was similarly devised, with the radio receiver itself weighing 12.5-15 kg (27.5-33 lb). By early 1917, the FT-Versuchsabteilung was making its first combat trials with the radio gear with Halberstadt D.III and D.V aircraft, and by late September 1917 in concert with the famous Jagdgeschwader I unit commanded by Manfred von Richthofen, especially its Jasta 4 unit. Later trials, using the more advanced Albatros D.III and Albatros D.Va fighters involved using the gear to effect what could be considered the first attempts at an air-based version of ground-controlled interception of Allied bomber aircraft, using visual ground spotters as the ground component, by the home defense Kampfeinsitzerstaffel units within Germany's territory. The Halberstadt D.III primarily differed from the D.II version in its substitution of the Argus As.II 90 kW (120 hp) straight-six engine, which differed from the usual Mercedes D.II powerplant in having its camshaft in the engine block, and using pushrods to operate the overhead valves, rather than having a camshaft running atop all of the cylinders as in a single overhead cam engine. A total of 50 D.III examples were built by Halberstadt, with the first 30 ordered in July of 1916, and the last 20 ordered in August of 1916. The D.IV version, of which only three were built to an order placed in early March 1916, changed the wing bracing layout to a single bay, dispensed with the twin bracing struts for the "all moving" vertical tail rudder surface, and used a Benz Bz.III 110 kW (150 hp) straight-six engine for power, with a small conical spinner for better streamlining. Tested by IdFlieg in October 1916, this type was rejected for further evaluation due to a poor forward field of view for the pilot. The D.V version was a less radical departure from the earlier D.II version, and mostly differed from the D.II in having its cabane strut structure supporting a central panel for the upper wing, rather than both upper wing panel's wing roots meeting along the centerline of the aircraft, for better forward pilot vision. It also used the D.III version's Argus As.II engine, and changed the mounting position of the aircraft's single 7.92 mm (.312 in) LMG 08/15 machine gun from the right to the left side of the nose. 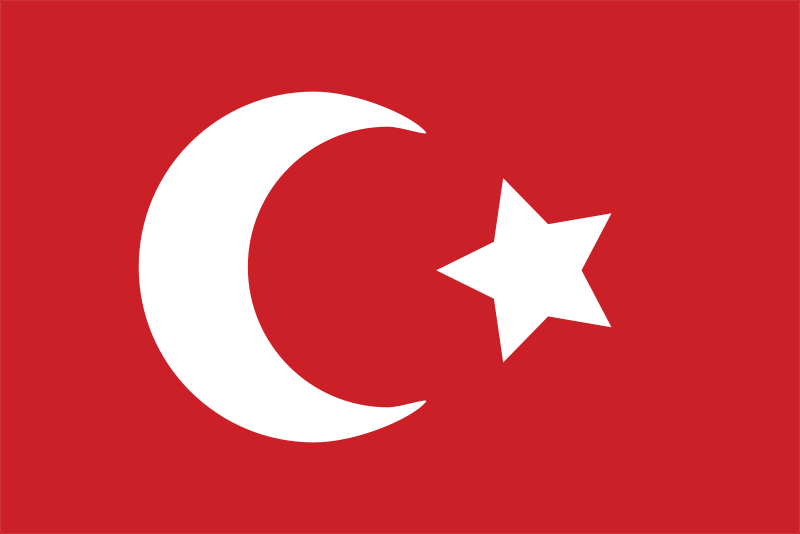 A total of 57 D.V aircraft were built, from orders placed in October 1916 and January-June 1917, with 31 of these being sent to Germany's ally in the Central Powers, the Ottoman Empire. Source: Halberstadt Fighters, Classics of WW1 Aviation, by Peter M. Grosz, page 46. Cheesman, E.F. (1960). Fighter Aircraft of the 1914-1918 War. Harleyford Publications. Munson, Kenneth (1968). Fighters, Attack and Training Aircraft 1914-1919 War. Blndford Press. Grey & Thetford (1962-70). German Aircraft of the First World War (2nd ed.). Putnam & Company. * Grosz, Peter M. (1996). Halberstadt Fighters-Classics of World War I Aviation. Albatros Publications.